Katie Truman gets high on Bali’s pristine seas. The four new nautical stars featured here take live-aboard sailing experiences up a whole new high-end notch, resembling a floating five star hotel. 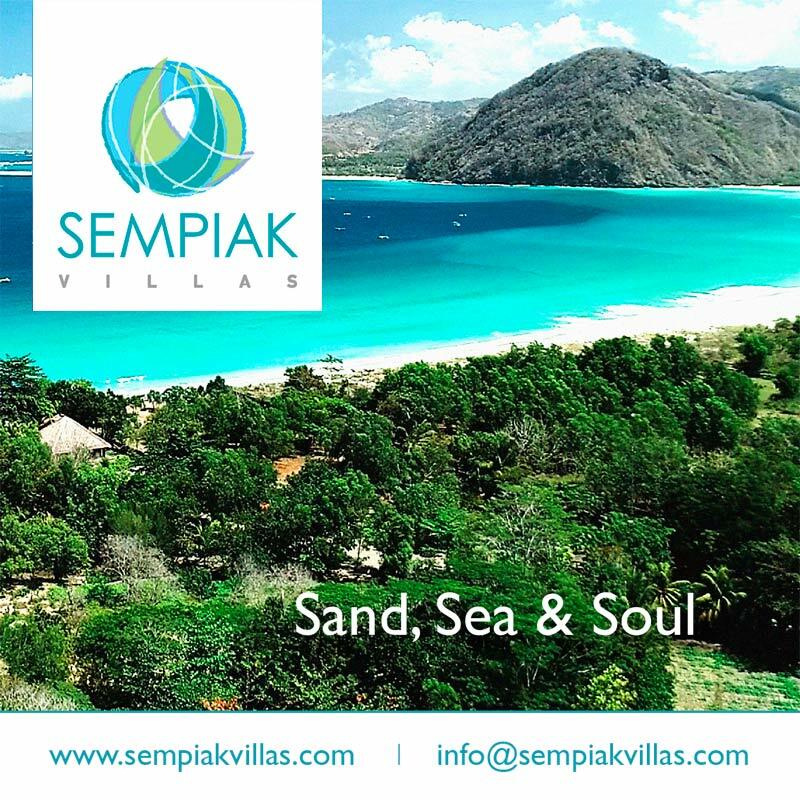 They operate practically year-round, following two spectacular nautical routes and Indonesia’s best weather patterns. Sandwiched between Sumbawa and Flores, UNESCO World Heritage Site Komodo National Park is part of Indonesia’s “coral triangle,” regarded as one of the world’s finest dive sites and home to the largest marine diversity. 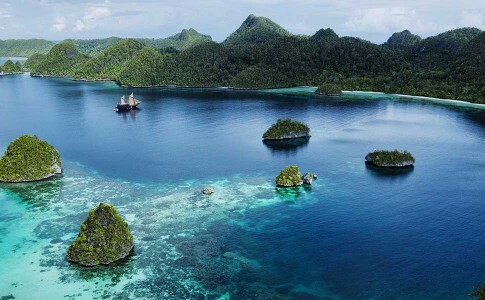 Further north in West Papua, extensive Raja Ampat boasts one of the healthiest, greatest coral reefs for its size on earth and an amazingly diverse underwater world – around 70 per cent of the world’s total coral species are located here as well as some of the most pristine dives sites. TRANSFORMED from a working Phinisi-style cargo boat into a sleek, all-white, charter sailing boat, Alexa is surely one of the most canoodle-friendly sails on the seven seas. This 31-metre vessel features just one guest cabin and round-the-clock pampering for two (maximum four) passengers (but that’s pushing it and definitely a crowd). Apart from the crew of seven – including cruise director, master chef, dive instructor and butler, discreetly attending to guests’ every whim – you’re totally on your own with Alexa all to yourself! Beside the ample en-suite master cabin with balcony, there’s expansive lounge-dining areas and ultra-modern chef’s kitchen, and two deck levels, providing breezy open-air dining and love-fest chilling. 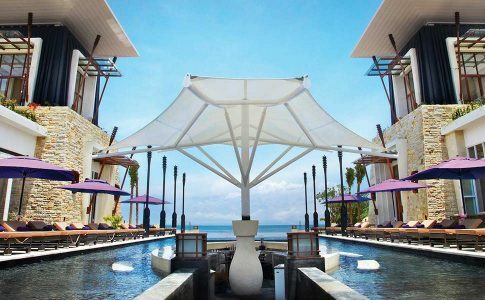 As you’d expect from opulent OAZIA, the well-stocked bar features premier wines and gourmet cuisine exquisitely prepared, focusing on succulent fresh seafood – think lobster, caviar and oysters, served grilled, cerviche or carpaccio style. 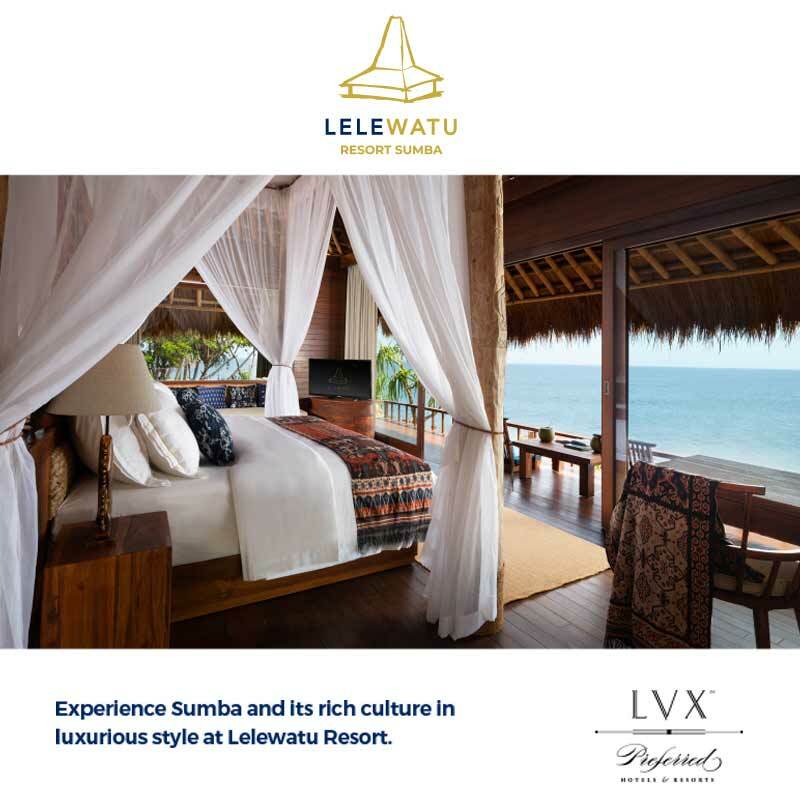 Sensuous pursuits run to lobster barbecues on dazzling white sand coves, swimming au naturel with turtles, sleeping out on deck in a canopied bed under the stars, or diving hand-in-hand off uninhabited islands – premium diving equipment is provided – reached by private speedboat. Alexa itself is rejuvenating enough, but part of a joint venture with high-end French cosmetics brand Talika, customised treatments with Talika spa products and exclusively trained spa therapist are available. IF kicking back on a luxury yacht and sailing the turquoise waters of Indonesia’s island chains is your thing, Aman Resorts can offer you the holiday of a lifetime. Amanwana is an upscale, tented hideaway on nature reserve Moyo Island, that is home to the custom-built, 32-metre Phinisi schooner, Amanikan – the star of Amanwana’s fleet. 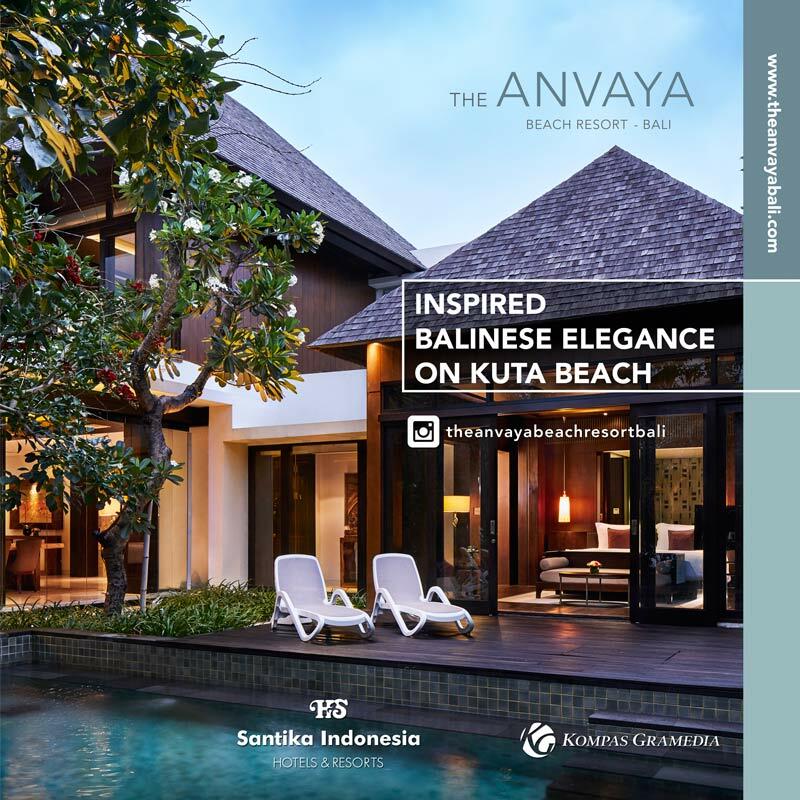 Exemplifying Aman Resorts’ signature service and flair, Amanikan fuses spice-trading-vessel-romance with deluxe modern amenities (from iPod docking stations to an outdoor cinema). Three above-deck en-suite cabins feature two-metre vaulted ceilings, and the master cabin provides 270-degree views from wrap-around windows and a private sun deck. Built into the vessel’s bow, the lounge space is the guest epicentre for sunbathing, pre-dinner sun-downers, and sleeping out under the stars, while the foredeck offers breezy al fresco dining (seating 10) and outdoor bar. 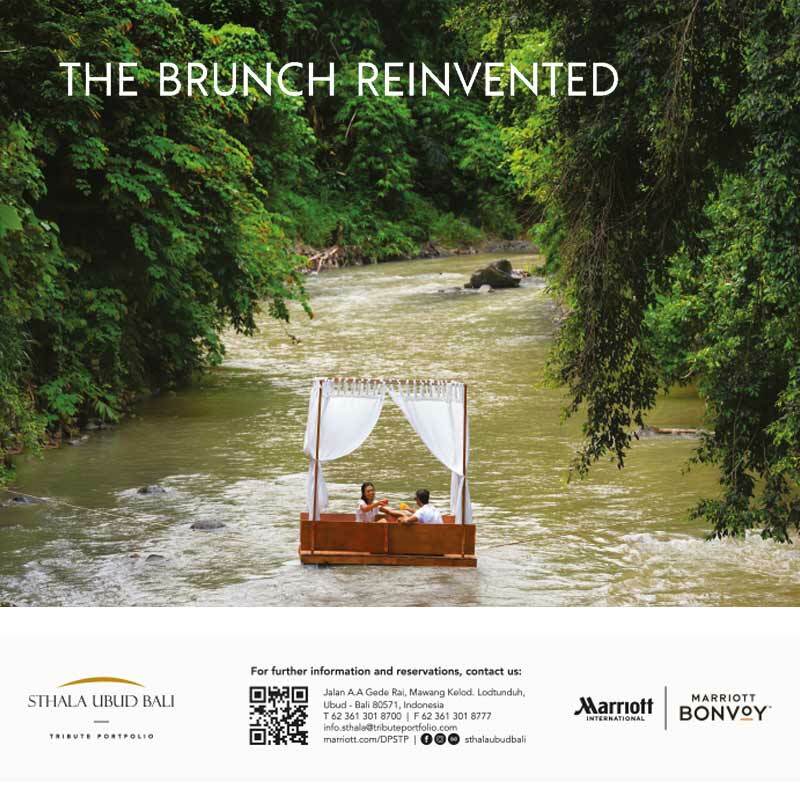 Up to three couples or a family can be accommodated, supported by a crew of 10, including dive instructor and private chef – whose culinary tasks cover barbeques on starlit beaches and simple but refined on-board dining. A fully equipped dive centre offers guided tours and novice-to-advanced PADI courses, while ocean-going kayaks, dinghies and fishing gear are all part of the package. Amanikan can be chartered for private cruises around Moyo’s surrounding islands for day trips or longer, but in keeping with the group’s other boats, Amanikan offers two fixed-date island-hopping adventures. Seven-night Komodo Expedition (March-October) explores the pristine waters of Komodo National Park, cruising through the Nusa Tenggara island chain to some of the world’s most biologically diverse dive sites, and stopping off at Rinca and Komodo – the only two islands in the world where Komodo dragons live in their natural habitats. This magical journey includes a two-night tent stay at Amanwana – complete with off-beach wall dives, trekking to jungle waterfalls, and indigenous spa treatments. 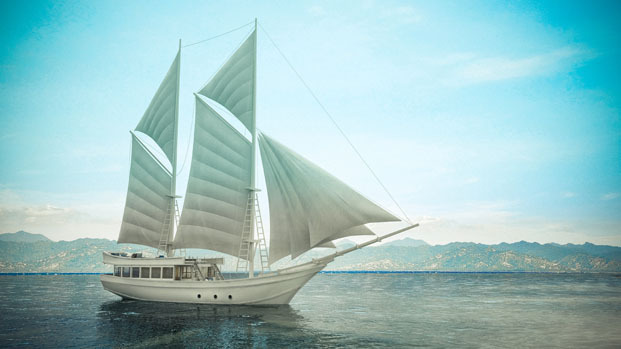 FOLLOWING its December 2012 inaugural sailing, Alila Purnama (Full Moon) also emerges as one of the most luxurious live-aboard Phinisi boats in the region, offering exclusive voyages of discovery, exploration and diving – what you’d expect from the prestigious Alila Hotels and Resorts stable. 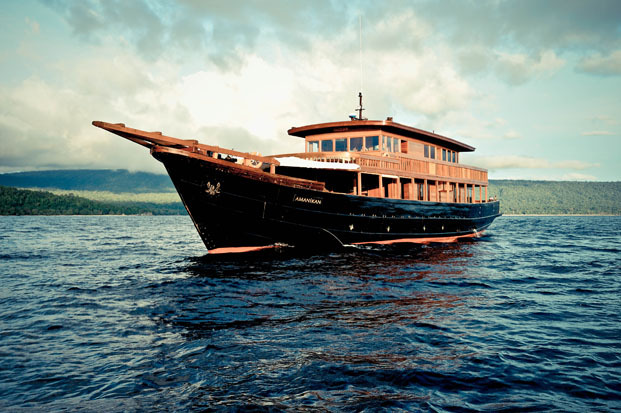 The 46-metre, three-deck Alila Purnama is hand-crafted luxury, built in traditional Phinisi style. 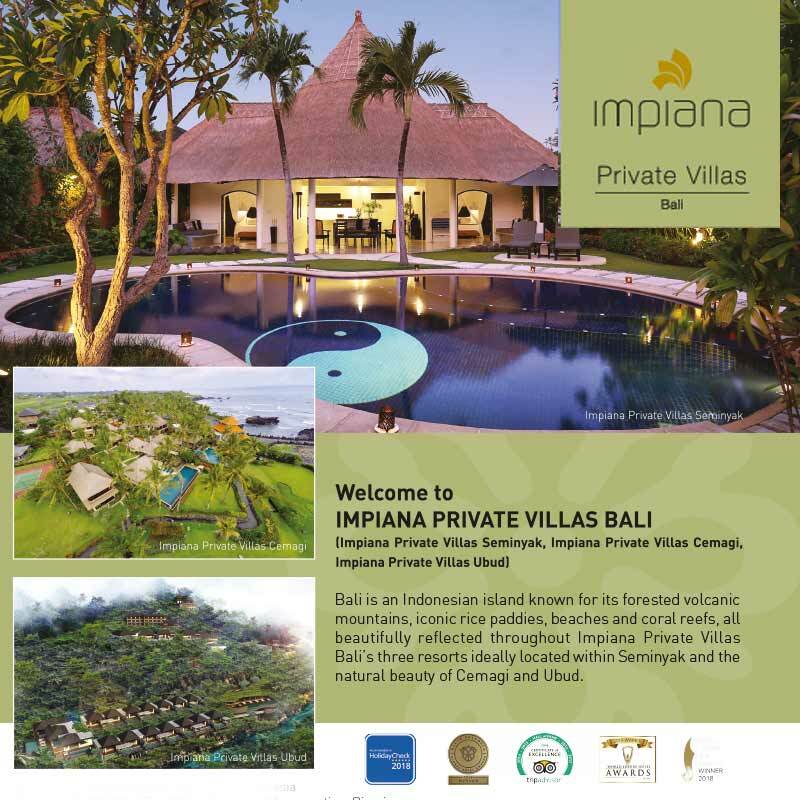 Interiors are beautifully custom-made from teak, rattan and other archipelago-sourced materials and guests are spoilt by an experienced crew of 16 – including cruise director, chef and dive instructor. Accommodating 10 passengers, there are four well-appointed en-suite cabins, plus an expansive master suite, with vast wraparound windows revealing 270-degree ocean views, and a large sundeck providing private relaxation space. Also onboard are an air-conditioned dining area, lounge and bar strewn with comfy sofas, and a main outdoor deck with oversized daybeds, and glorious al fresco living-dining space. 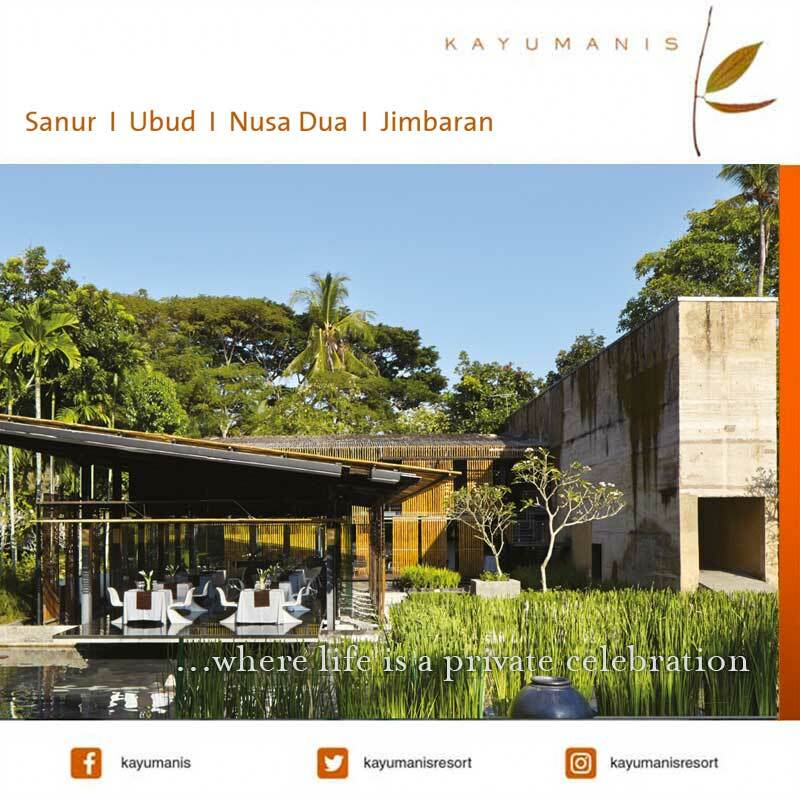 Purnama’s main indulgence is diving, providing a fully licensed and equipped PADI dive centre, catering for qualified divers, or onboard development courses ranging from Advanced Open Water Diver to specialist options. 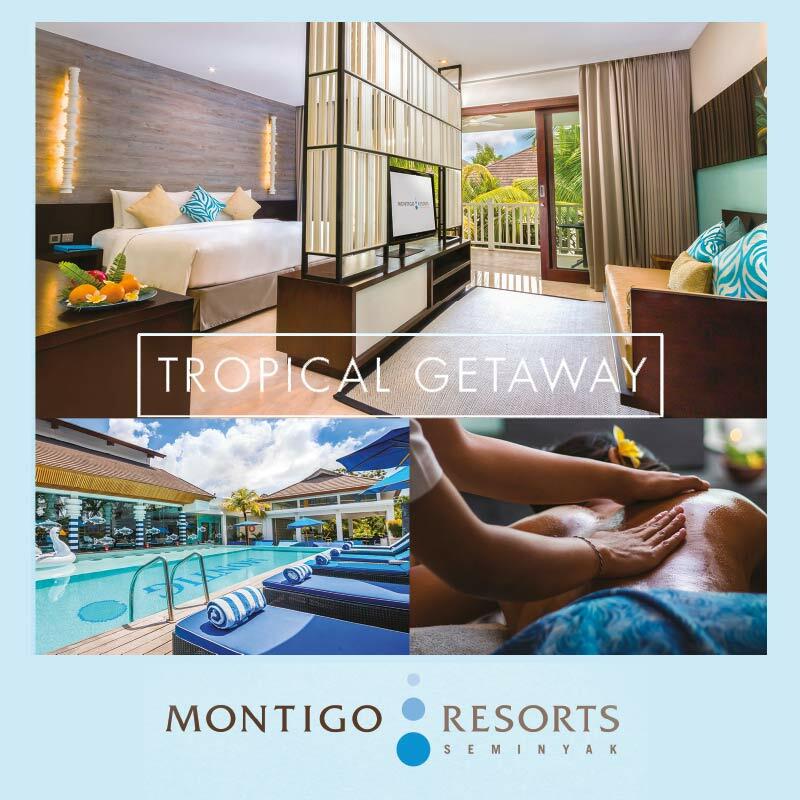 Other blissful pursuits include surfing, fishing, throwing a picnic with chilled bubbly on secluded beaches, exploring tropical islands, or melting away with a signature massage, courtesy of their Alila-trained spa therapist. 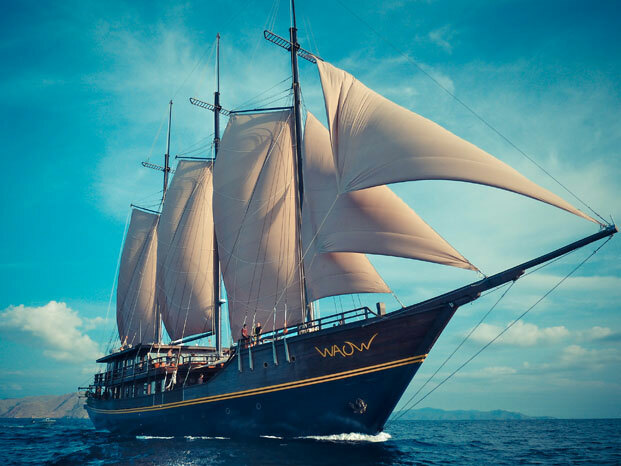 WAOW stands for “Water Adventure Ocean Wide” but “WOW” is apt, for this 61-metre, three-masted sailing vessel which is arguably the largest, most hi-tech Phinisi-style boat currently operating dive charters in Indonesian waters. The highly-trained crew – a whopping 22 – includes multi-lingual cruise directors, spa therapist and resident chef. A vision of WAOW’s Swiss owner, Michel Deville, this impressive vessel incorporates Phinisi techniques favoured by Sulawesi shipwrights dating back to the 14th century, merged with adaptations from American schooners of the 1800s, and goes 21st century with the highest standards of modern boat-building, incorporating advanced maritime and communications technology from state-of-the-art satellite and navigational gadgetry to dive suits kitted out with GPS safety devices. “A dream project, WAOW combines the latest yachting technology with old school nautical charm, keeping as environmentally-conscious as possible,” project director Andrew Laughlin says. As a charter sailing vessel, WAOW offers hard-to-beat extravagance of space and privacy: nine luxuriously appointed en-suite guest cabins include a 45 square metre upper deck master cabin with private sundeck; two superior cabins on the main deck with private sun decks; and six deluxe cabins below deck. Each cabin contains private bathrooms with separate shower and WC; LED lighting; and in-cabin entertainment featuring multi-media TV screen, Wi-Fi Internet and on-demand movies. There’s also an expansive air-conditioned lounge and dining area (seating 26), fully-stocked bar, outdoor entertainment deck area, and three sundecks for serious sunset views. 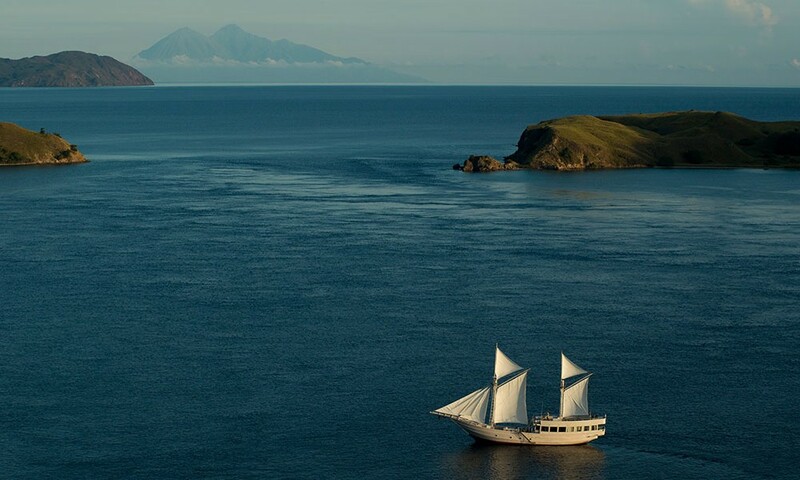 WAOW offers sailing itineraries from April to September within the Komodo National Park, heading up north in October via the Banda Sea (another stupendous dive site, with a 4,000 metre volcanic drop-off), and Raja Ampat.